I wonder where the Tawny is! As promised in a previous post (click HERE to view), we are continuing to follow the development of the Tawny Frogmouth chick at Trude and Len’s place. The chick is beginning to learn the life lessons essential for survival. 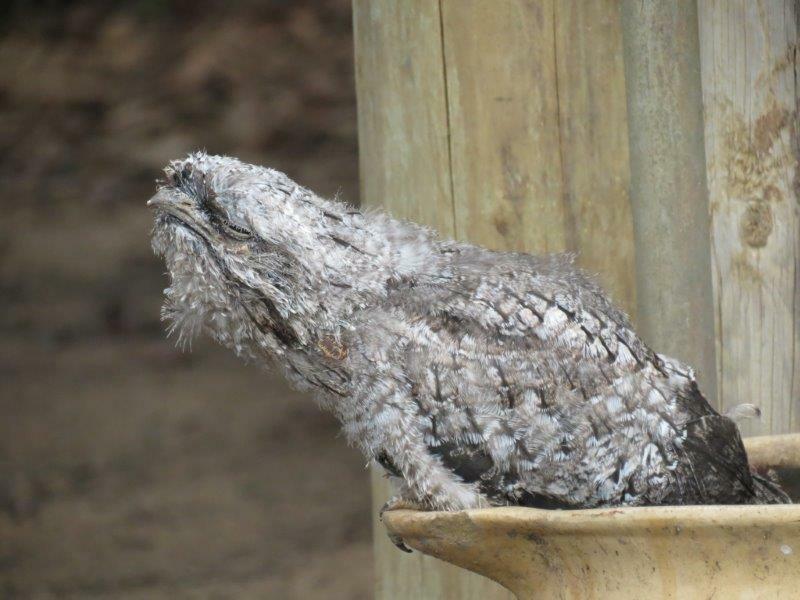 One of the features of Tawny Frogmouths (Podargus strigoides) is their outstanding ability to blend into the scenery. Sometimes even when you know where a Tawny Frogmouth is roosting, it is difficult to distinguish it from the branch on which it is perched. 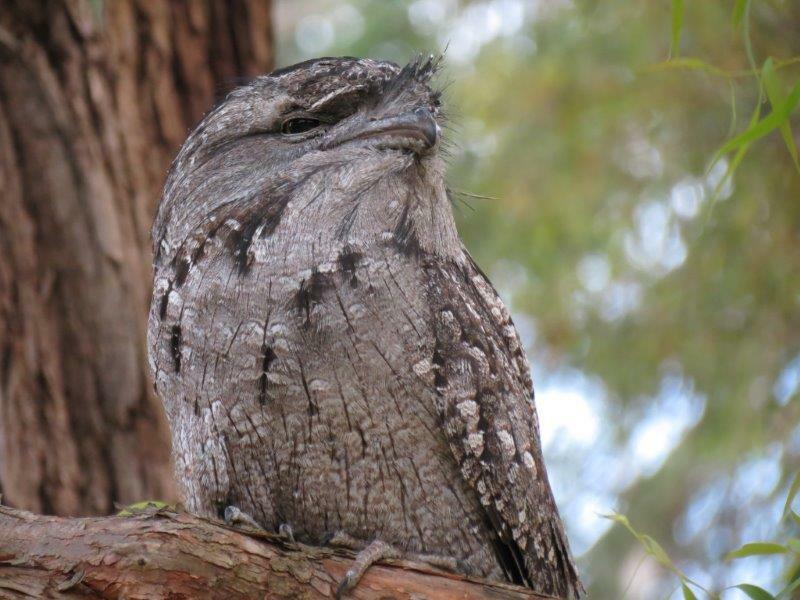 When threatened, a Tawny Frogmouth sits still with its beak pointed up in the air, looking just like a part of the tree. Pictured above is the baby Tawny Frogmouth demonstrating the camouflage pose. Even though the pose is well executed, here is a life lesson for the young bird – if you are going to pretend to be a tree branch, don’t do it sitting in a bird bath. It doesn’t work. We can still see you. Try sitting in a tree. ← Why pick on me ? !